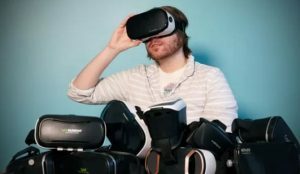 If you’re not willing to spend hundreds of dollars for a high-end virtual reality device, you still have options. Skip past tethered headsets like the Oculus Rift and HTC Vive, keep going past premium mobile designs like Samsung’s Gear VR and Google’s Daydream View, and you’ll find a sea of cheaper models for $45 or less. We’ve scoured the internet for some of the best cheap options available. Every product listed here will work with pretty much any iPhone or Android device around. After some extensive testing, we’ve ranked all these headsets based on design, comfort, visual quality, ease of use and any other special features.